Be prepared to be amazed! For what, I hear you ask. Well, I won’t be doing magic as I don’t even know how to correctly pronounce ’Leviosa’ but what I do know is making costume guides. This is why we at Fjackets have returned with an all new Harry Potter merchandise guide to help you be just like the talented wizard. 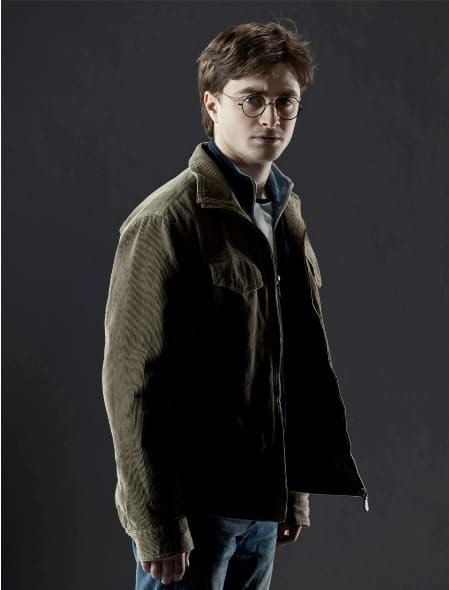 Harry has been a figure of leadership and an excellent role model since his inception in 1997 when the first novel of the book series was released. After that, six more books were released up till 2007. These novels gained tremendous success as J.K. Rowling was hailed as someone who levitated the quality of fantasy novels. Later on, these books were adapted into movies with the first one being released in 2001 and the last one in 2011; a decade gap as was also the case in the book series. The movie series turned out to be a huge success as well, as millions of book and non-book readers flocked to watch the films. Harry Potter has become a symbol of love, friendship, and most of all, magic. Like we said earlier, MR. Potter has always been seen as a role model by everyone. Every time he has put his own life in danger for the people he loves. He has a great personality of an individual who is very keen on learning about new things. He not only has the thirst for it but also the talent to overcome any difficulties he faces. Other than that the most important face of his personality is his courage and bravery. He isn’t afraid of facing wizards much experienced than him, or monsters much bigger than him. That is what has made people around the world to be his fans. 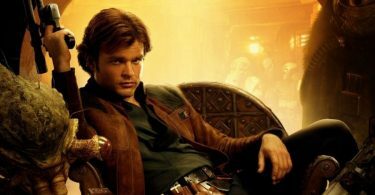 Another thing is that Harry looks superb no matter whichever movie of the series it is. His dressing is always spot on. 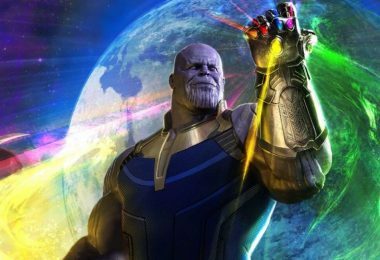 And that is what we will be covering here; the guides of all the eight movies released so far. So without further adieu, let’s begin with the best Harry Potter costumes. 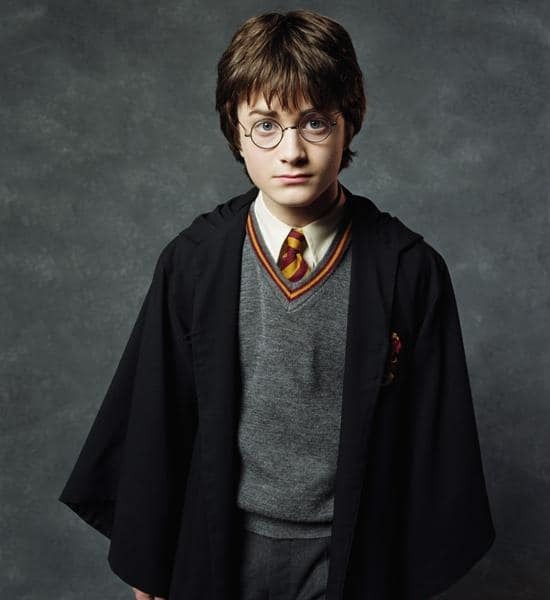 The foremost Harry Potter attire that we would be covering is from the very first movie which is known as Harry Potter and the Sorcerer’s Stone in India and the US while it is known as Harry Potter and the Philosopher’s Stone in the rest of the world. 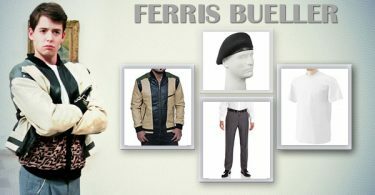 In the major part of the movie, he is seen wearing the outfit which is pictured above. It is the traditional Gryffindor house outfit as well, so if just want a Gryffindor costume then you can use this guide as well. It is imperative that you get this item way before the other ones for this outfit. 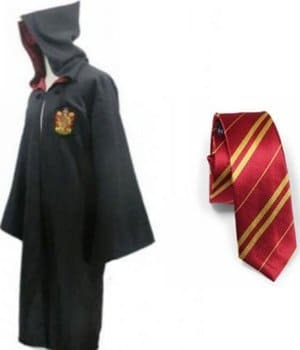 This is because the cloak is the only thing of the entire attire that is rather unique as the rest of the things are somewhat normal school items. This cloak comes with a beautiful Gryffindor patch on the chest as it is in the movie. 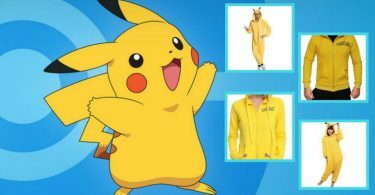 Although it says that it is for adults in the title of the link, but if you order the small size it would fit your kids, aging from eight and above, perfectly. 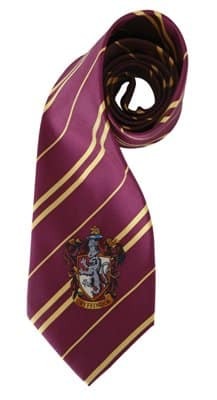 This also comes with the Gryffindor tie, so no need to worry about that as well. But if you are like me and would want a decent quality tie then keep reading as we would also tell you how to do that. As I said earlier, most of the items of the outfit would be typical school things. This is one of those items as we bring you a shirt that will look good along with the rest of the outfit. The great thing about this shirt would be that it could be worn for other casual, and formal occasions after the cosplaying is done. 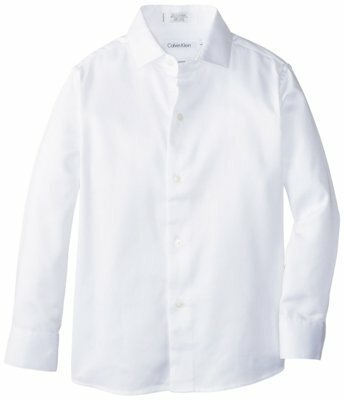 However, if you already have a decent white shirt and are low on a budget, then you can skip this item. Continuing with the guide of Gryffindor we bring the gray colored pant that goes with the other items. 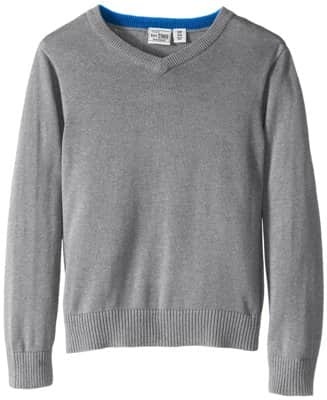 As is the case with the previous item, if you happen to have a gray colored pant that can easily go with the attire then this piece is easily skippable. 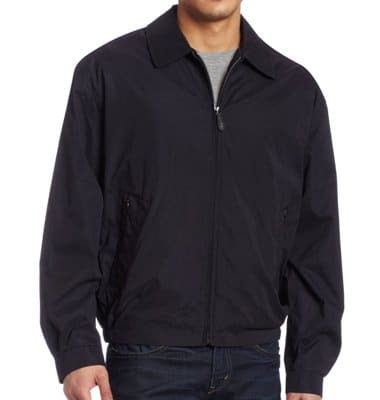 But still I would recommend buying this item as it is not that expensive and is a product of the reliable brand, Dickies. The colors of the pants also match the ones shown in the show really well. As Hogwarts is said to be somewhere in Scotland, it is bound to get cold real quick. In that region temperatures on the lower side range around 30 Fahrenheit while at the higher side, it does not average more than 65. So you have to acquire this Heather Gray jacket to counter that problem and to add to your Harry Potter And The Sorcerer’s Stone costume. 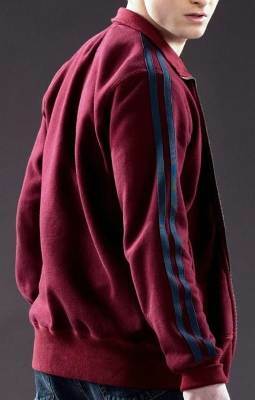 It looks accurately like the one worn by Harry in the first movie, well, except for the Gryffindor lining. But that is another positive side of it as it can be worn on other occasions as well, and also for costumes of other houses. Next come the shoes which are worn by the little Wizard. The shoes, like most of the items before it, are like your typical school shoes. But many things have been kept in mind when choosing this pair, first that it should be lace shoes like the ones in the movie. Secondly, the front of the shoes should also match Harry’s shoes. Lastly, the color, quality, and price were also considered. It comes at as low as $8.99, and you’d have another wonderful shoe to add to your kid’s collection. Here is the scarf as seen on Harry wear on several occasions. I would definitely recommend buying this one as this is one of the items that would set you apart from the crowd. 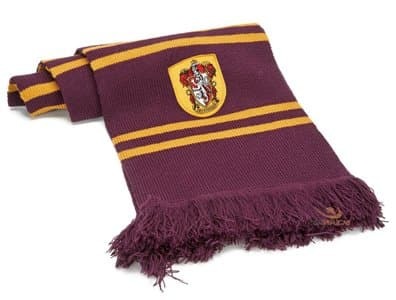 The scarf has the colors of the Gryffindor house, and the crest has been embroidered on it beautifully. The scarf is also impeccable concerning length as it is not too long or short. Buy it with the others so that you can happily stay warm while wearing with his outfit. So, like I said, if you are anything like me you would want to buy a good quality tie that has a nice Gryffindor embellishment. This is why I bring you this magnificent tie that is made from polyester to give it the strength and sun resistance that is needed. The best part that I love about the tie is the Gryffindor symbol on it. The attention to detail on it is incredible and buying it is definitely worth it. Now we come on to the second movie of the series. 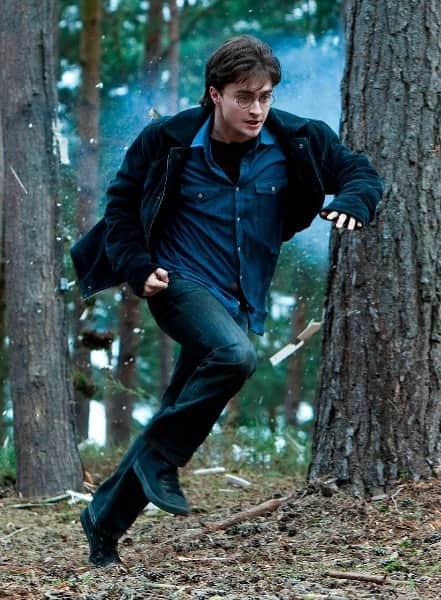 In this movie, Harry is mostly seen in the Hogwarts School as well. So if you want to go with the traditional Hogwarts look, you can follow the previous guide as shown above. 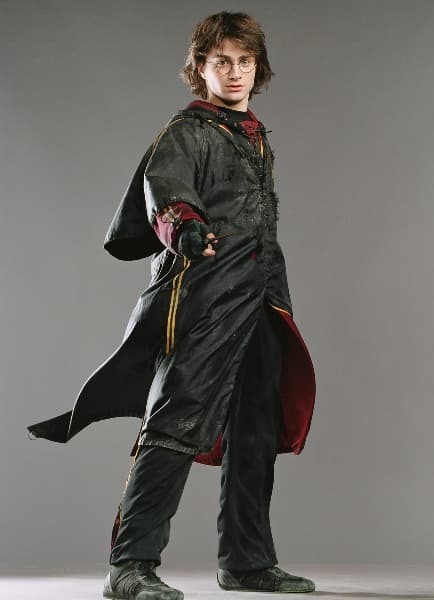 But what is also seen in this movie, and the movie before it, are the good-looking Quidditch costume. Therefore, that is the guide which we will be covering here. We begin the Quidditch guide with, of course, the Harry Potter Quidditch robe. Unlike the previous Gryffindor robe cloak that we used which was entirely black in color, this Harry Potter Quidditch clothes uses crimson color with yellow strips. This is because if one is playing Quidditch one ought to know from far away that which house you are playing for. The Gryffindor emblem has also been done really well too. If you are flying at really fast speeds, you would want to save your eyes from the heavy winds blowing against it, not to mention the dust and dirt in the wind. 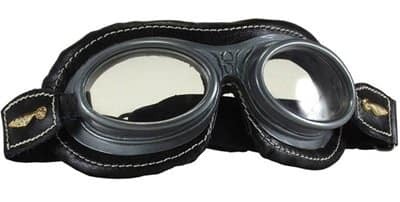 These Harry Potter Quidditch goggles do just the job as they are made just like the movie ones. They have a golden snitch on each side of it that makes it all the more special and shows us the attention to detail given to the product. Additionally, the goggles have 100% protection from the ultraviolet rays of the sun so that is one bonus most people with sore eyes would look forward to. 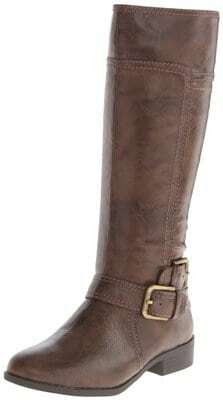 They can also be worn when doing a steampunk. You cannot fly without your broomstick, of course. This item ensures that you can do just that and also that you are not a Muggle. The item goes fantastically with the rest of the costume. Everything has been done with finesse skills from the kickstand to the runes which are carved to the stick of the broom to make it look better than just a plain stick. So unless you know how to do the unsupported flight like Lord Voldemort, you would need this broomstick to play Quidditch. 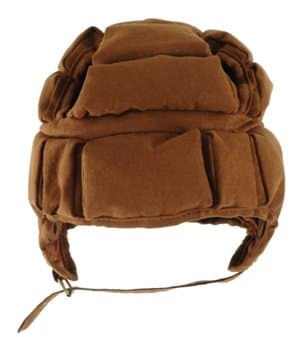 If you do not like falling on your head and injuring yourself, or getting hit in the head by a Quidditch ball without any protection, then you have got to purchase this Quidditch helmet. This item is also steampunk themed just like the goggles, so they go along together really well. Coming in one size, it should be perfect for anyone above the age of twelve. 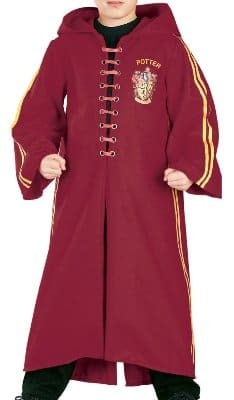 It even fits adults really well, so they can buy one for themselves too if they are cosplaying the Harry Potter costume. This is the film of the series where we see Potter get out more. The plot of this movie revolves around a prisoner named Sirius Black, who escapes from Azkaban. So Harry has to get his hands dirty, thereby getting out of Hogwarts. 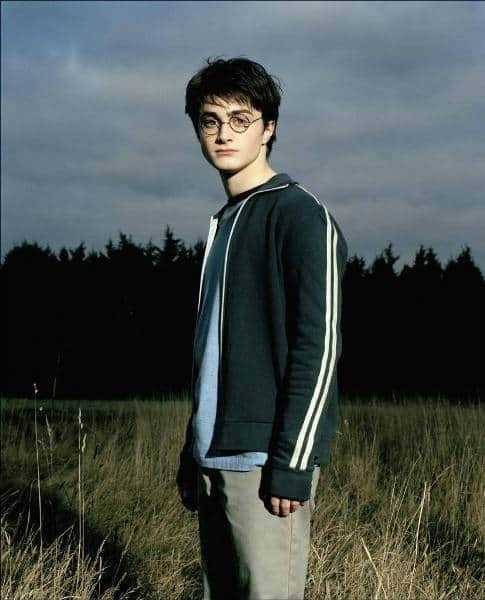 When out, he is seen wearing this outfit which primarily has three items in it; the jacket, the shirt, and the pant whose best equal I’ll provide to you below.Take a look at this Harry Potter And The Prisoner Of Azkaban costume. The thing that is most prominent in the entire outfit is the jacket. So it is imperative that we choose a good one that is both good in quality and also matches the one seen in the movie. 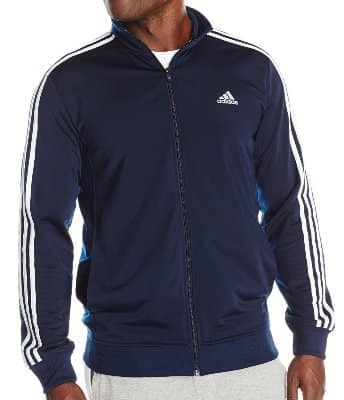 Presenting you this jacket of the all-famous brand Adidas; this jacket matches Harry Potter Jacket really well as you can see for yourself. The quality is praise-worthy as 100% polyester has been used in crafting the piece. This is my favorite item from this Harry Potter outfit. The colors of this tee are really eye-catching being Carolina and Navy blue. 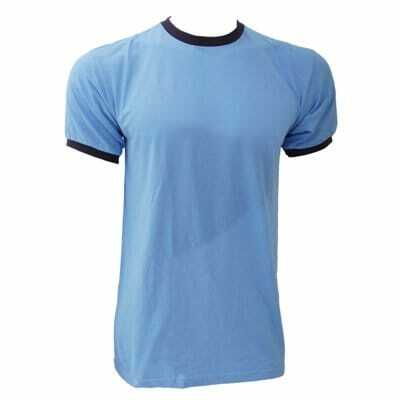 The preshrunk cotton with which it has been made from removes the discomfort factor that you might experience in other tees. One important thing to keep in mind is not to tuck the tee in, as I’ve seen many people too. Harry does not do that. The T-Shirt is also really low in price and can be bought for as little as $4.45. Lastly come the pants which are not that much important compared to the other ones. If you already have a khaki pant, then you can skip this item, however if you don’t then buy this one to complete your Harry Potter and the Prisoner of Azkaban costume. For your footwear, you can wear literally any shoe although brown colored ones are more recommended. Now after the last one, this outfit is quite a looker! Out of all the things that happen during this movie, the main thing that the movie revolves around is the Triwizard tournament. Harry also takes part in this competition and is seen wearing the costume pictured above. There is something magical with the outfit that people began to ask that how can they dress up like that. Well, we will tell you how; just keep following the guide and purchase the items listed below. 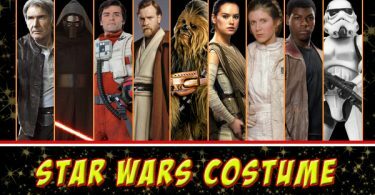 Okay, so the first item you have to buy is going to be this robe which is the most visible part of the outfit. 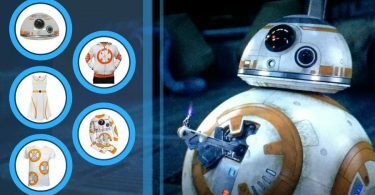 You might confuse this with the robe that we provided you with the first costume guide, but this one is different. This being lace up is one of the core differences as the laces are clearly shown on the front. The robe is really affordable, standing at a price in your budget. You can get them both from the link provided above. Even though they are not seen as much as you will be wearing the robe over them, but nevertheless they are vital if you want to execute the perfect look. If you want to skip this item, then you can wear a black pant and any red colored shirt preferably burgundy red colored. 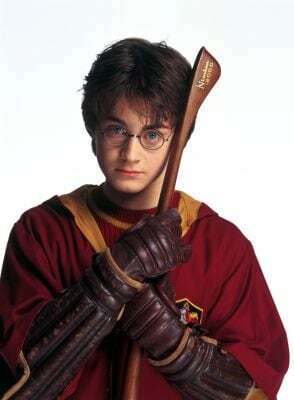 We end Goblet of Fire Harry Potter costume guide with a pair of gloves to go along with the remainder of the items. The pair we have chosen is such where we have given price the highest priority; however, all the while trying not to compromise on looks or quality. 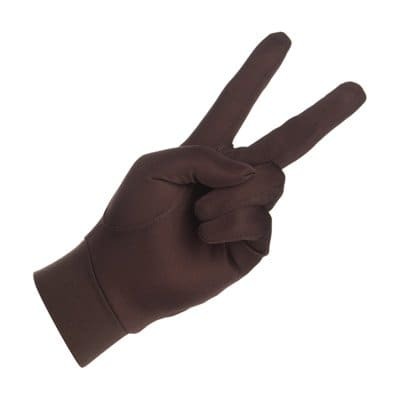 It does not matter how they look, as long as they are black fingerless gloves, they would be fine. 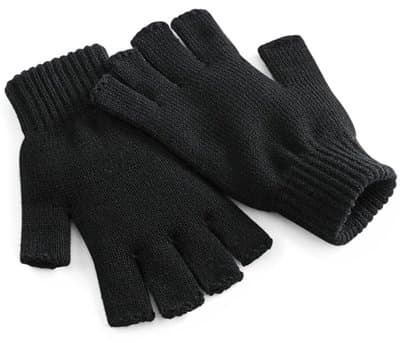 These gloves are one of the lowest priced in the market, for only $3.25. 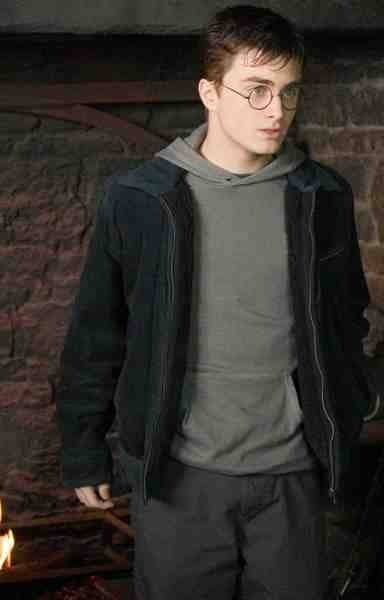 As we move into the fifth movie of the series, we again witness such a wear from Harry Potter, which is quite common. This is because in this film, as well, we see Harry be out of the school more. In the starting of this movie, he is due to start the school and during his trip to Hogwarts; he is often seen outside of it without his uniform. This is why we bring you this one; I like it as you can also wear it after you have done cosplaying him, on other occasions. This one is also made up of three items, just like the last two movies, a hoodie, a harry potter jacket and the pant. We start the Harry Potter And The Order Of The Phoenix costume guide of The Order Of The Phoenix with the hoodie sweatshirt. You can see for yourself how much this item matches Potter’s. Well, except for the strings which you can take out for the sake of completing the costume. 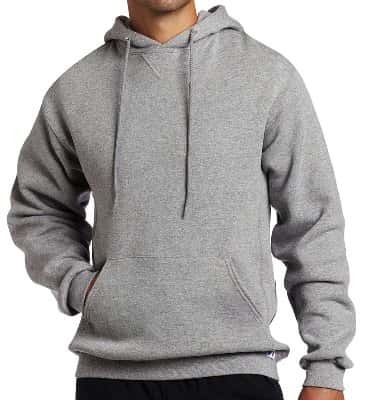 This hooded sweatshirt is also Oxford colored and the fabric used to make it is of supreme quality being 50% cotton and 50% polyester. 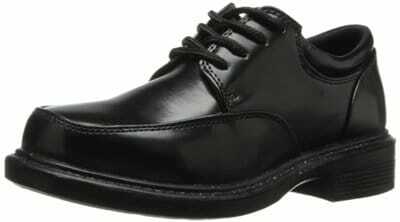 It is available in multiple sizes and hence would fit you with ease. 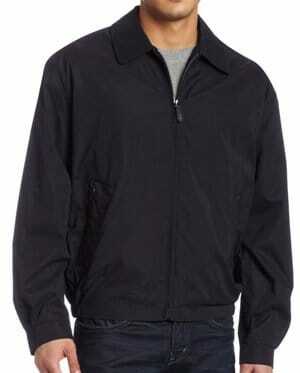 Over the hooded sweatshirt, you would be wearing this jacket. But why would one want to wear multiple winter clothing items? This is because, as we said earlier, the entire series is set somewhere in Scotland which is a cold place to be; so it is important that you wear warm clothing. It is navy in color and is filled with pockets on the inside of it for your utility, after all, Harry does need to carry items as well. What comes after the jacket and the sweatshirt is the pant. The only things that you have to look for when choosing a pant for any cosplay are that it is matching in color and good in quality. Other parts such as design are always the same or just with minute differences. This pant fulfills both of these requirements; it is dark gray in color and is ‘premium’ in quality as its name suggests. After the pant you would be thinking about the shoes, so, just like the last one, you can wear any pair you have, and that would complete your cosplay. The fifth movie of the series sees both the Human, also known as Muggles, and the Wizarding worlds in trouble as the Death Eaters along with their leader; Lord Voldemort increase the fear and horror unleashed upon them. He has to plan along with the Dumbledore to how to overcome them both. Talking about the Half-Blood Prince Harry Potter costume, we see him mostly throughout the movie in the one which is shown in the image above. As is the tradition on our guides, we cover the most important things first of the costumes. And in this case, it happens to be the red track jacket which comes over the Ringer T-Shirt. 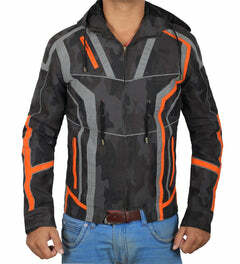 You can get the jacket directly from our stores and believe me when I say; you will not be disappointed. The accuracy with which it has been done is fantastic while the comfort level of it is out of this world. The thing that enhances the comfort is first of all the cotton fabric used on it and secondly, the viscose lining done on it. 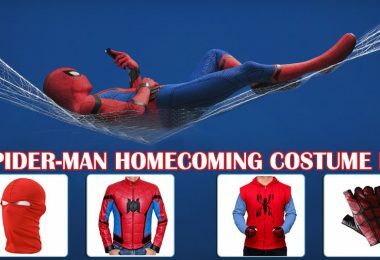 Other than that you are getting it at a big discount and free shipping, this is why I’d say this is the best place to buy the jacket. This tee is at a price as low as $4.95 which is one of the reasons why we chose it for the guide. At such a low price, it is definitely a steal. 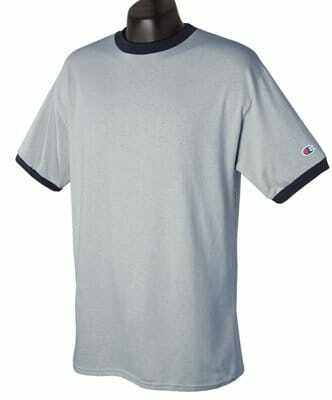 The T-Shirt is 100% cotton and hence will give you good dust repellent and breath-ability. No need to talk about the colors and matching of the tee to the one worn by Harry as you can observe for yourself. 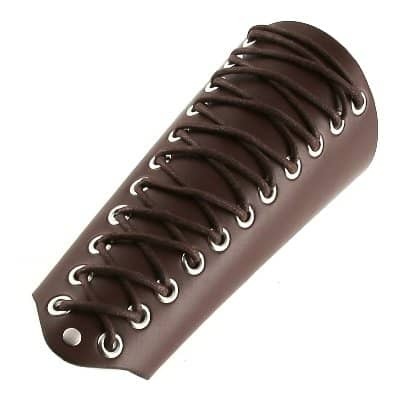 Don’t worry about the size as it is available in multiple sizes and would fit you and your cosplay perfectly. 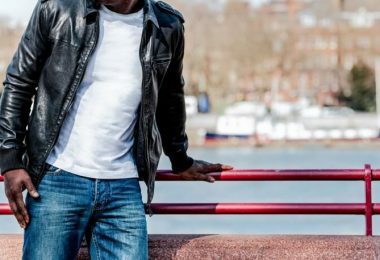 Whether you are cosplaying or are impersonating someone for a special occasion or just wearing outfits for casual occasions, you would want your pant to be comfortable to wear. This is just that giving you maximum comfort so that you sit, walk, stand, run, etc. all with no discomfort. This item, like the previous one, is made from 100% cotton giving it the comfort which I am talking about. Easily matches the pants worn by Potter as well. We had been skipping the footwear for the last few Harry Potter outfits as they hadn’t been that important, but if you want to get the flawless outfit, then you have to buy the sneakers, as seen on Harry, for this dress. If you were to go to the link provided above you would see the careful and small detailing done on the footwear. This is because the brand is Levis and they do not do anything short of ‘perfect’. The soles are rubber made and give it the comfort you need to wear it all day. Purchasing this would conclude the Harry Potter and the Half-Blood Prince costume. Finally, we enter the last book of the series. This book, Harry Potter and the Deathly Hallows’, when adapted into the film series was divided into two parts so that most of the essential elements of the book could be covered without being felt that it was rushed. This is the first part of the film where it goes up to when Voldemort has the Elder Wand, an item which is part of the three things of The Deathly Hallows. Harry appears in the movie with a new style of clothing which we will be writing about here. First of all is his double pocketed shirt which is in a shade of blue. Under it, you should wear any black colored undershirt. 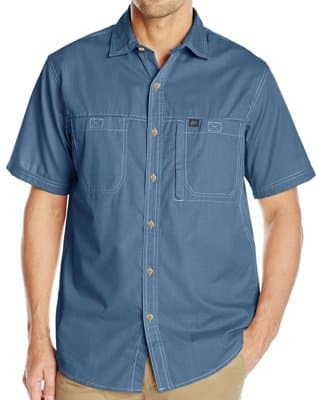 The shirt which we have provided here matches Harry Potter And The Deathly Hallows Part 1 costume in every aspect from the colors and pockets to the smallest of buttons. The shirt has been made for outdoor activities such as trekking so that it would survive for a long time without any sort of wear or tear. Therefore, if you want to sport a shirt which you can wear for more than just a few occasions, then this is the one to buy. 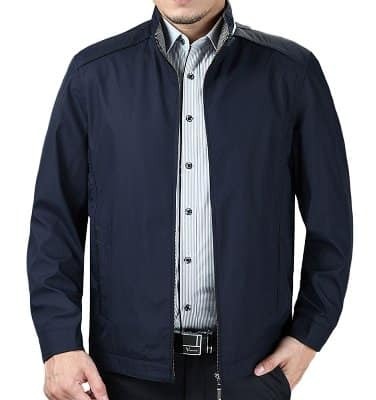 From the all-famous brand, Nautica, comes this jean designed to provide extreme quality and comfort. Made from environmentally friendly fabric, i.e. Cotton, it gives the pant the soft and discomfort-free feeling you all look for. What I like about this item is that it is available in dozens of sizes! So you can order a jean of an exact match that you can wear really well. Albeit not being too pricey, these jeans do have the ‘feel’ of an expensive jean. For the jacket, we have chosen the same one which we used in the fifth movie, Harry Potter and the Order of the Phoenix, costume guide. This is simply due to the reason they look the same, and also because if you are someone who is following multiple Harry Potter outfits, then you wouldn’t have to buy an extra item. As always we end the guide with the footwear. These might look similar to the last shoes we provided you, but they do have paramount differences that one should not avoid if they are taking the cosplay seriously. These sneakers come from the famous company, Polo, which is basically a stamp of quality. The sneakers are Newport Navy in color and have synthetic soles that are comfy. If you want you can skip them and use any navy colored sneakers, but to get the impeccable Harry style, purchase these and complete your cosplay. We have finally reached the final Harry Potter costume in this guide. The movie which we are covering now, Harry Potter and the Deathly Hallows – Part 2, is the most successful film in the entire series. 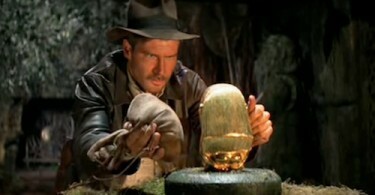 It quickly rose to the top of the charts and among all the top grossing movies ever, it came at eight! It grossed more than one billion dollars! That should tell you the story of how much of a success this film was. 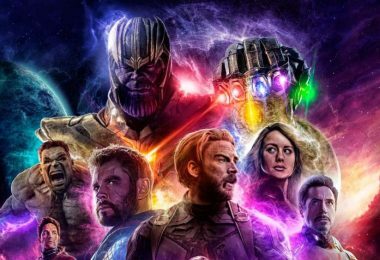 And typically with a movie of this much glory, it is inevitable that it inspires people and hence they would want to copy things such as its costumes. This is why this particular outfit of Harry became one of the most famous ones, which is why we have done this guide to show you what to do to be just like him. 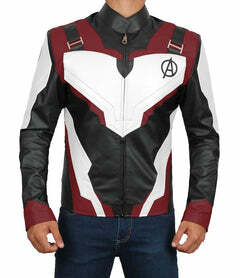 The item that was most loved by the fans from this entire costume is this one, the jacket. It set the whole ‘tone’ of the Harry Potter outfits adults, and he wore it throughout the movie, even in the fight against Lord Voldemort. Now that you know the importance of it, you would know that such an item should be bought from a place where you not only get the quality you are looking for but also at a reasonable place. Fjackets is just the place where you are getting the jacket made from high-quality suede leather, and viscose lining being done on it. You are also receiving a significant price cut along with Free Shipping in the entire US, so that should save you plenty of bucks. What is it with Harry Potter and his love for Ringer T-Shirts? So far wherever we have had to include a tee, it had to be a Ringer one. This one is different from the previous ones in only the color as there is no design difference in all of the Ringer T-Shirts. These are Oxford gray and black in color, and are made for athletes, so naturally they are built to last. We don’t know if it can repel Yew or not, which is used to make Voldemort’s wand. So why don’t you buy it and fight the Dark Lord to find out? 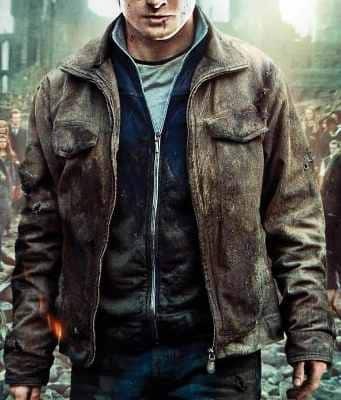 You’d think that wearing the jacket and tee would be enough for your Harry Potter And The Deathly Hallows Part 2 costume, but no, Harry does the same thing that he has done in most of the movies; wear triple items over one another. But we don’t hear anyone complaining because it does look really good, and other than that, there is this freezing weather we have always been talking about. 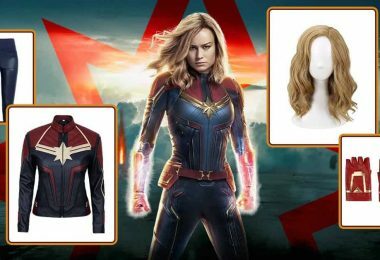 These jackets are dark blue colored, splendid in quality and are also super comfortable because we have to make sure that when fighting against Lord Voldemort, Harry doesn’t lose just because he was feeling discomfort; that would be an embarrassing way to die. The jean from the previous guide can be used here. If you don’t have it, definitely check it out. Moving forward, the footwear isn’t of any problem and any kind of footwear can be worn, although sneakers are more preferred. So it would be better if you purchased the sneakers provided in the last guide or the ones given in the guide before that. Getting your hands on both of these will complete your outfit. You would have already guessed the first item on the list; the one and only, glasses of the wizard. This is an extremely important purchase as I feel that without it, all of the costumes are useless. Think about it, have you ever seen Him without his glasses? The answer is no, and the same should be the answer if you are thinking of whether you should skip this Harry Potter costume glasses. 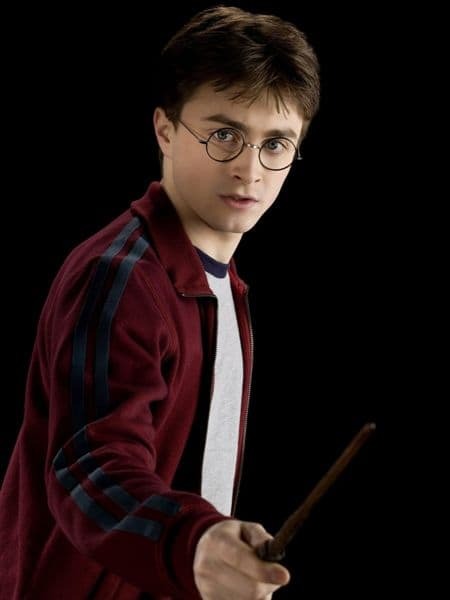 Even though Harry is a pretty talented Wizard, but even he can’t do any magic without his wand. So how do you expect to do it without your wand? This item solves that problem and gives you a magical Harry Potter wand to deal with the Death Eaters, Snatchers and then finally Lord Voldemort. There are many other costlier wands out there which are, of course, better quality wise. But I prefer buying a wand that doesn’t cost a leg and an arm, all the while looking like an actual wand. 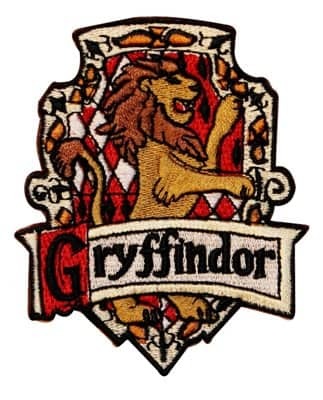 And the very last item that we bring for you is the well-renowned crest of House Gryffindor containing in all its glory, the lion standing upright on its back legs and clawing with its front ones. The attention to detailing done on this crest is remarkable as you would see that not even a single line has been left. Sew it on or iron it wherever you want, whether on a cap, coat, jacket, shirt, bag, etc. it will work swell. If you are big Fan of Jk Rowling’s work then you will love this work of art. This T-Shirt contains the House Gryffindor Logo right at the center. Shirt is cotton made and excellent apparel for casual wear. Ladies here is your chance to come closer to your dream of attending school in Hogwarts. This shirt with Hogwarts logo in the middle of it is designed especially for women with modern fit preshrunk. 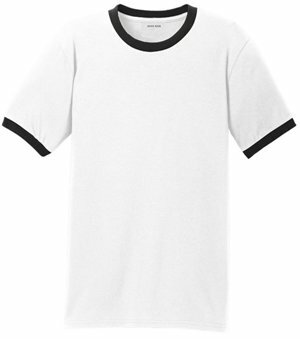 The same T-shirt is also available in men’s style. 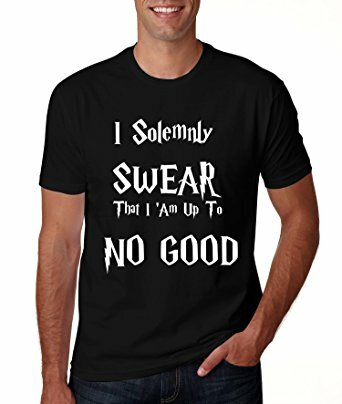 With picture perfect logo and sublime quality fabric this shirt is a must have for every JK Rowling fan and love to be in Harry Potter costume. Or you can have this shirt which has Harry Potter written over it instead of the logo. The writing is same as we have seen on the books and looks really impressive on the shirt too. The same design and style format is also available in this warm, cozy and comfortable hoodie which will keep your temperature and temperament under control. 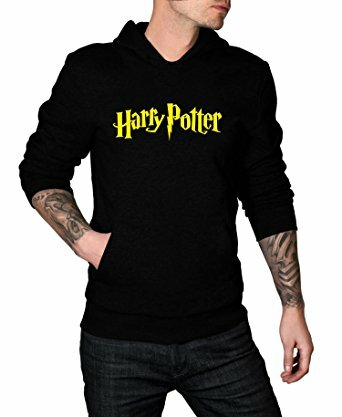 This Harry Potter clothing accurately describes a scene from the movies which was famous due its unique pun. You can wear this to your Harry Potter fan club and you will see everyone drooling with laughter. 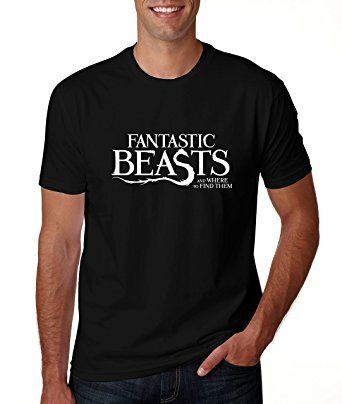 This shirt is inspired for the newest book of JK Rowling of the same name. The book which is being interpreted into a movie. This is your chance to show how of fan you are of the famous writer and you follow her at every step of like (Related: see Fantastic Beasts costume and merchandise). With that final item, we bring an end to our huge and well-detailed Harry Potter costume for adults guide. We covered every single movie of Harry Potter here just so that you can copy whichever outfit you feel like. We felt that we talked about all of the things relatively well, from his Gryffindor school outfit to the final outfit that he dons when fighting against Lord Voldemort. However, if you feel that we have missed something then do let us know in the comments below. Do the same if you have any other suggestions or comments. Do not forget to share this with your other Harry Potter devotee friends. So be quick and complete any of these Harry Potter costume and fight the good fight against the Dark Lord.